Buy Emoji was born 20098 days ago in Laughing Emoji. He works as a finance boss of the city administration. Moreover, he controls the places of interest of the surroundings. He studied originally jurisprudence. Moreover, he worked as a policeman. Many criminal Emojis and aliens bribed him with the biggest success of the kingdom history. Thus he was sent for 4016 days in the prison by registered letter. During his custody he studied in the self-study jurisprudence and other legislation of the kingdom. He made his doctoral thesis on the subject "How one bribes a policeman successfully in Emoji?". His doctoral thesis was read by many prospective customers. Because of his doctoral thesis Buy Emoji planet-far became known. In particular the rulers of Saturn wanted to have him with themselves. In Saturn he received several awards for his doctoral thesis. Moreover, Buy Emoji became the most-read doctoral candidate from the kingdom Emoji. Later Buy Emoji had to found a publishing company alone for his doctoral thesis. He expels as a sideline his doctoral thesis. Later he was invited in an amphitheatre. He had to take over the role of a policeman. On week-ends he also appears as an actor. Topically Buy Emoji acts above all at the theatre as a policeman. Moreover, 555 days ago he founded a small factory for sweets. On account of his adventurous biography and his constant presence in the mass media he gets many inquiries for interviews. 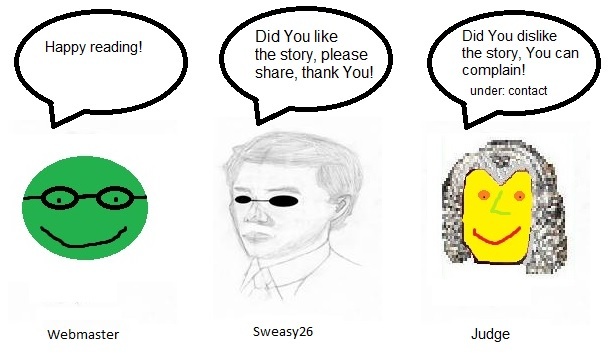 Sweasy26 met the finance boss of Laughing Emoji personally on a half-cloudy day in the tower from copper in the hometown of Buy Emoji. So much I know, there is no tax authority in the kingdom Emoji for the purpose of the levy like in Saturn. What do you make in your function as a finance boss? The inhabitant receives one and several printers from the authorities. In addition an order comes for printing the bank notes. However, this seems only in emergencies. How some years ago was with the rescue of an airline. Today the calculation of the amusing budget belongs to my major tasks. Moreover, we look how much money the amphitheatres and other facilities need. Then we check whether we have enough money. If we have not enough money for our duties, we contact the national bank. Then it is condemned to printing the bank notes. Ordinarily we order about 1,658,712 Bitcoins for the needs of the town. Moreover, we need money for the payment of the pensions to retired Emojis and other aliens. The national bank of Emoji physically provides for it. Are issues of the town not controlled by controllers? Does no danger insist that the money comes to the wrong hands? Buy Emoji points at several positions in the space: Since some time are transmitted all monetary transfers to the controllers of the national bank. In addition a device was installed several times. These devices supervise all movements of the bank notes. One day a miser from the Jupiter was in the city administration. He thought that he came easily to money. He wanted to work as a carrier of the bank notes. He got this job. The job was unoccupied too long. Most Emojis have no desire for the local currency. They use increasingly again their traditional currency of the laughter. They do this above all in Laughing Emoji. The miser from the Jupiter was the only applicant for the job of the carrier of bank notes. At that time that's why he got the employment. However, this was a fatal mistake. We had received only 10 percent of the ordered bank notes. Later the miser was arrested directly in the national bank. After some time he brought most money. Our town was thereby moved into the shutdown. Many urban facilities had to remain closed during several days. This was a real problem. Then the printed money had to be supervised. Also the protection of the bank notes exists beyond the transport. The bank notes send via WLAN signals to the national bank. Nevertheless, this is a supervision state! Buy Emoji defended his face with a supervision camera: No. The bank notes are supervised only among the officials. As soon as the bank notes come to the economic cycle, this automatic supervision is completely switched off. If the bank notes should be recycled, know the national bank their location. Thus the national bank also sends the suitable emails or letters to the owners of the bank notes. No worry. The owners receive simply fresh new bank notes. Thus the owners lose no money. Moreover, the way is compensated to the national bank or its branches financially. Therefore the exchange of old bank notes is worthwhile anyway. However, this is only the case if the national bank liked to renew the bank notes from itself. One day some misers from the Jupiter thought, that they the bank notes tear simply. Thus they wanted to profit from the financial compensation. Then they had to be arrested. Finally, vandalism is not tolerated by bank notes. Now I must ask like the most normal interviewers a disagreeable question about your past. You were a policeman once. You could not resist the briberies at all. How was this time for you? Buy Emoji looks at the calendar. He turns the pages completely behind: No worry. This question was already asked to me at least 11,738 times. I know that I can deliver in addition always an answer like a robot. As a policeman I got a lot of phoney bank notes, so that I release the criminals. At that time thus I acted. I had received so much money by briberies. My income by criminals suddenly rose from 1333 Bitcoins up to 14444 Bitcoins per month. I could buy immediately five newest cars to myself. Moreover, I was founded own subterranean bunker. This sounds already almost like the old times. But I also bought nearly 12 houses and 2 properties to myself. This was very suspicious for my envious colleagues. Thus I was got with a generous bribery. At that time a miser from the Jupiter paid to me nearly 50007 Bitcoins. To my second luck the miser was arrested. Finally, the whole money was faked in Jupiter. My houses were searched on other money after my arrest. Although the whole money was taken away from me, I could be thereby released faster. After the stay in the prison I had already studied jurisprudence successfully. I could conclude the final examination. Then I still wrote my famous doctoral thesis. Thanks to my doctoral thesis I earned much more money than bribed policeman. Therefore this wonderful experience of life was worthwhile for me. Now I am a qualified lawyer. That's why I may make a lot what normal Emojis and aliens may not do. I may accuse other because of bribery. I can defend my mandates. I can describe the list of my privileges further. Topically one can buy me any time. Of course the services of juridical character concern. Your doctoral thesis was so successful that you had to found a publishing company. You also work as a finance boss of Laughing Emoji. Besides you slip in the role of the policeman on week-ends in the urban amphitheatre. Do you really have no desire for spare time? Buy Emoji shows at his purse: At home sit. This is too dull for me. To work as a real policeman, this is too big risk for me. As a lawyer I also work as a sideline. Then free days on the week-end remain to me. There I can play the policeman who can be bribed. Besides, I risk no criminal consequences. As an actor I can realise my former criminal activity. At least, one may keep the money as an incentive pay. Your successful doctoral thesis became even the best-seller in Saturn. How do you explain to yourselves this great success abroad? Buy Emoji looks at the land map of the planet Saturn: There the bribery of the authorities is the most normal action in the country. If you exactly read the history of Emoji, notice, nevertheless, the activities of the Saturn aliens. They always had the same approach in Emoji. Therefore I and many of my friends think that I could have roots from the Saturn. I belong to few Emojis who recommend the national currency in Laughing Emoji. Moreover, I accept personally no other currency. The former finance boss Gossip represented the same opinion. You compare yourself with Gossip. The population of Laughing Emoji suffered very strongly from his influence. He used only the gratitude of the long-lasting Emojis. Buy Emoji defends himself with a book: I certainly do not recommend that he used the gratitude of the inhabitants. This was certainly very bad. But I think that Emojis should take over anyway the national currency. This was the right step in the history of the town. By the way: Gossip wanted to earn only money. Nevertheless, this is very normal for extraterrestrials. Why may misers from the Jupiter look, nevertheless, always everywhere for money? Suddenly there sounds loud laughter on the street. Buy Emoji must cover up his ears with the hands. Sweasy26 suspects the finance boss that he is generally no Emoji. For the interviewer is clear that Buy Emoji could be a charlatan. Sweasy26 renounces questions after the exact origin of the finance boss for reasons of the data protection. Some time ago you still founded a small factory for sweets. Your career looks more and more exciting. Did you have in spite of many employments still too much spare time? Buy Emoji looks in his homework book: Yes. I noticed that I had on Thursdays too much time. To me became sudden in the mouth too bitter. So I decided the construction of a small factory. I bought a lot of gigabytes in sugar. Then I started to experiment. Thus originated my sweets., Among the rest, I sell several chocolate tortoises. Moreover, I sell in my job as a finance boss my products to the visitors or subordinated employees. May you sell during your working hours still your products? Buy Emoji gets a local law book from his backpack: 777 days ago we worked in Laughing Emoji on new laws of our town. Every inhabitant might introduce his proposals. At least one proposal of every inhabitant was taken up in the law book. This law was taken over thanks to me in the local legislation. Thus I make this legal. Finally, I am no silly policeman. Now I have collected the right experiences how I may properly sell. Moreover, my products were examined before the licensing by the food engineers with the microscope. My products passed all tests. I had to bribe even nobody. This was a big joy for me. Do you also need new tools for your chocolate tortoises? Buy Emoji looks at his confidential plan: I use 3D-visualisations for it. I could buy the suitable device in Saturn. There I met 1111 days ago several chocolate producers. I liked chocolate factories very well. I thought that I should realise one day such a factory myself. I let many tools import from the Saturn. Now the extraterrestrial Sweasy26 wants to ask, nevertheless, the question to the origin. Buy Emoji looks at his clock. He points with his hand at the clock. 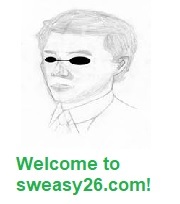 Thereon Sweasy26 decides to release the finance boss from the interview. Suddenly there speaks Buy Emoji: The development of my chocolate tortoises lasted nearly 818 days. I worked on it before the conversion at least every free Thursday evening. I outlined my sweet products on my sheets. But now I must urgently work out the budget for the hare's circus. I must finish the interview at once. After this statement the finance boss Buy Emoji will dismiss in the freedom of his employments.